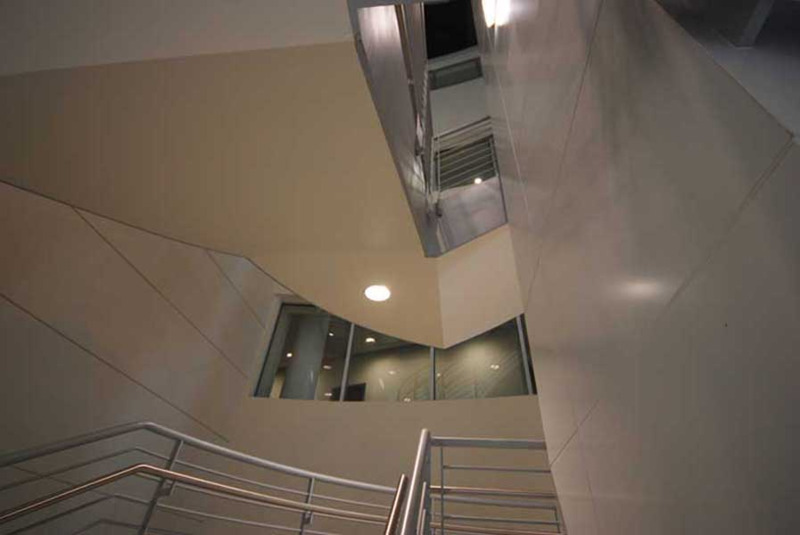 Stairway at Collier County Courthouse. Decorative curve staircase is a focal point. 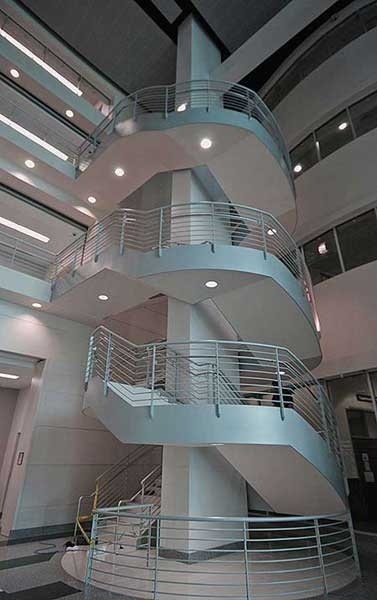 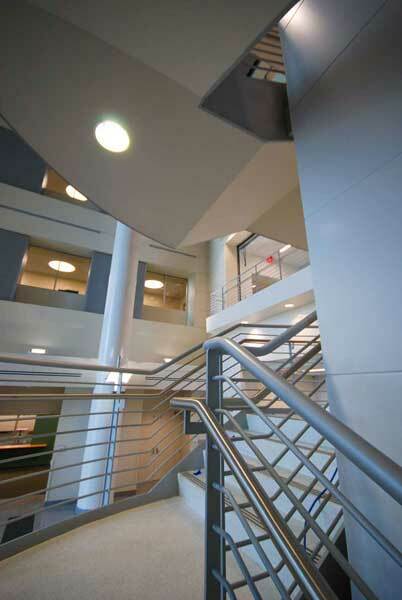 Center column supported multi flight curve stairway at Collier County Courthouse.